6. It's... it's a dinosaur! 34. Dinner by the lake? 40. YOU BETTER GET OFF MY LAWN, KID! 52. Oh look, it's a leaf! 54. To whom belongs the nest? It was tough but in a good way to whittle the entries down to just ten. But I persevered and placed my vote! Thank you to all the people who entered. 26th is the day the voting ends? That would be 29 days, or about 754 hours. Plenty of time to vote but most of us just did it pretty quickly, wonder what voting will turn up. Just voted after taking some soundings from Mrs Crackington and the girls. Very tough choosing the 10 so well done to all the entries. Nice to see such a wide range of dioramas and some great talent in our membership. I managed to put in an entry too this year, though suspect that it will be closer to the bottom end of the voting, looking at the high standard of the contest! Most impressive lineup this year! Narrowing it down to just 10 was VERY difficult. I made a "short" list of all my favorites and ended up with 25! Man this is so overwhelming!!! I wish i could pick more then just 10. I've just submitted my vote, it was very hard to pick just 10. Really great entries this year, and a lot to chose from . Why there're still 25 days left? I CAN'T WAIT FOR THE RESULTS!!! So many good entries this year. Over 100 people have now voted now. Make sure you do, too! If any of the Entries are members of Dinosaur Toy Photography on Facebook. there's a lot of great work here. Ditto! Members of your Facebook group are always welcome to share their dioramas on the Dinotoyforum. 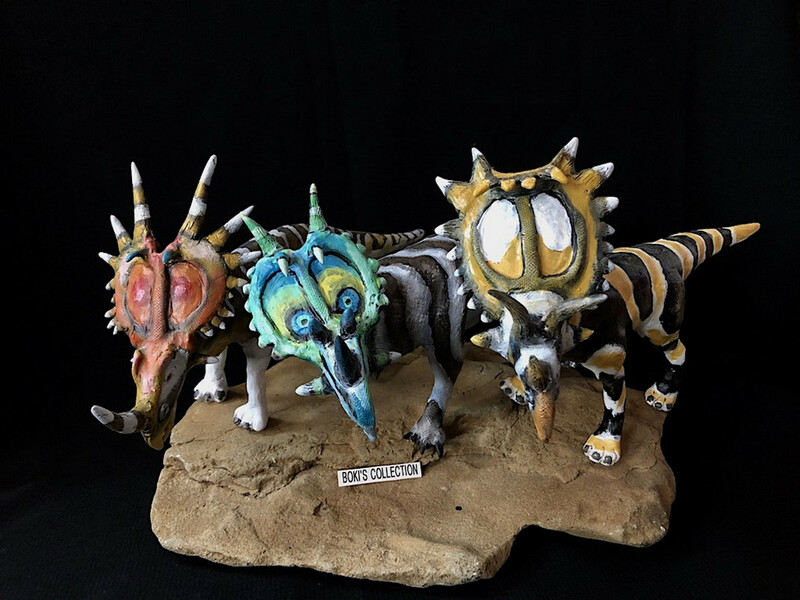 We have a dedicated section of the forum just for dioramas: http://dinotoyblog.com/forum/index.php?board=11.0 And, of course, if any are unaware of the diorama contest, please spread the word and get them over here to vote in this year's contest. So few days left! Excited to see which emerge victorious. Finally the wait has ended. If you wait for something to arrive time seems soooo endless. Thank you very very much to Adam of the DinoToyBlog, to all the participants and all the ones who have voted. You made this Diorama Contest a great success. It was real fun to see all the contributions. Some contributions were fun, some were cool, and others looked as if they were a snapshot of time. Great Job everyone and Congratulations to all the winners! By the way, my own contribution was number 46. From tiny acorns do mighty oaks grow. Thanks to the 10 people who voted for it. I forgot that today was the day, how exciting! Great job everyone! My own entry was #44, Thief in the Night with the Schliech Oviraptor. Before anyone asks, those are indeed real eggs but I didn't actually raid a nest for them. They're infertile quail eggs. My entry was heavily inspired by the Oviraptor illustration from Dougal Dixon's Dinosaurs. I wonder if anyone noticed the similarity? For the ten that voted for my entry, thanks! I never expect to win these things, I just have fun doing it, and if I get a few votes then all the better.